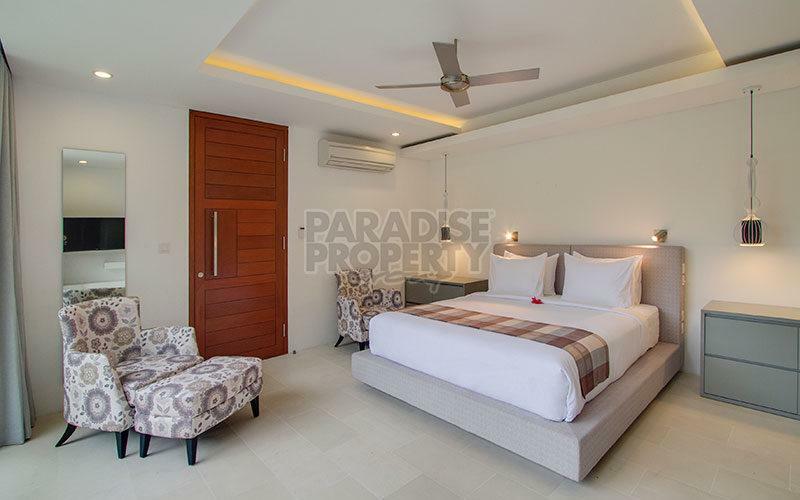 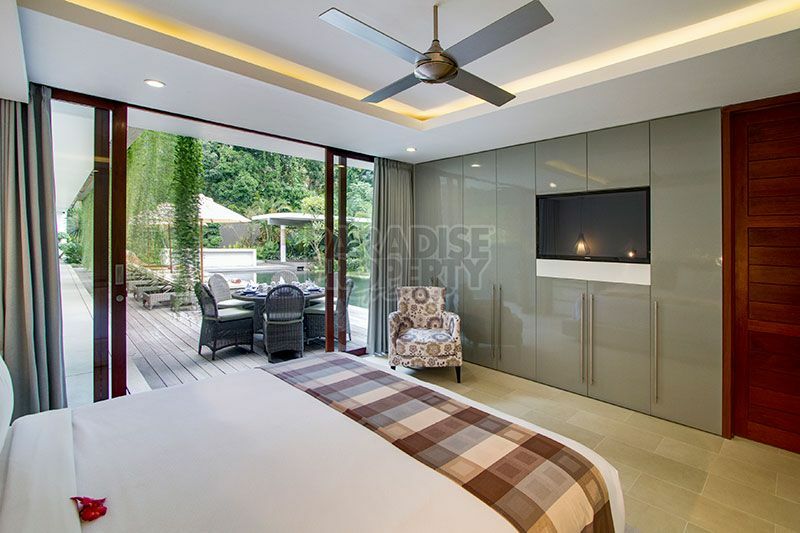 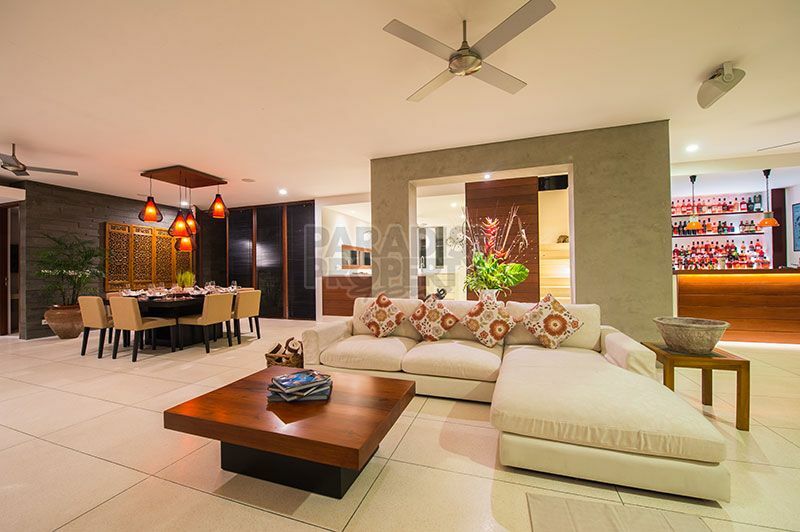 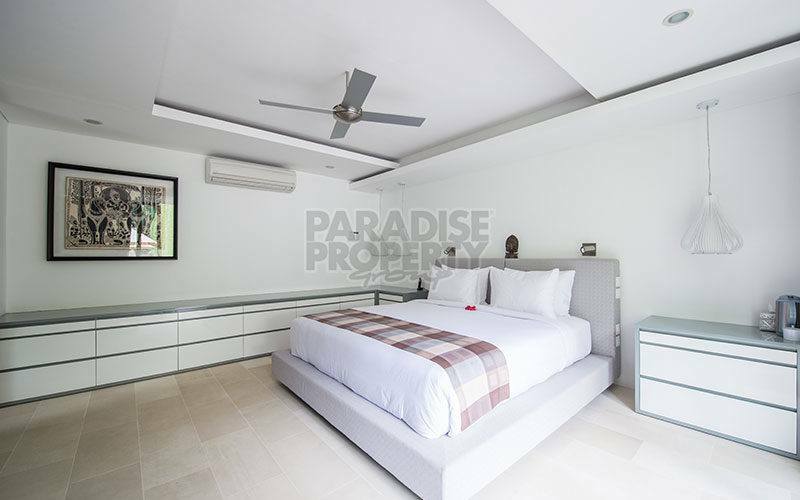 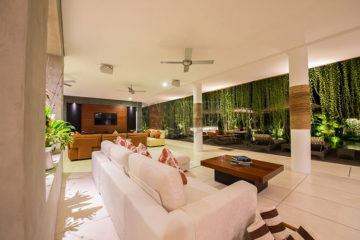 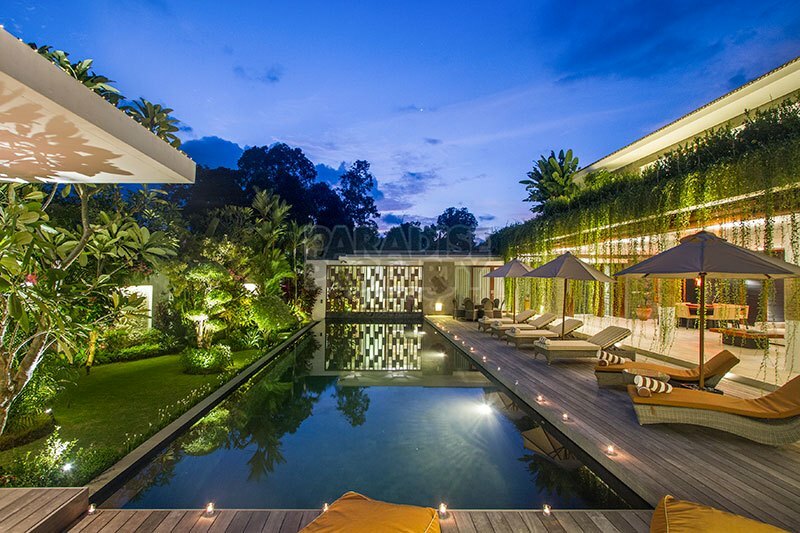 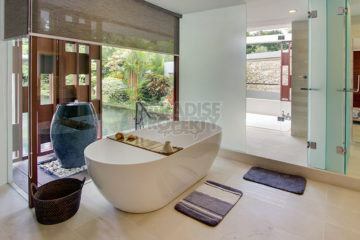 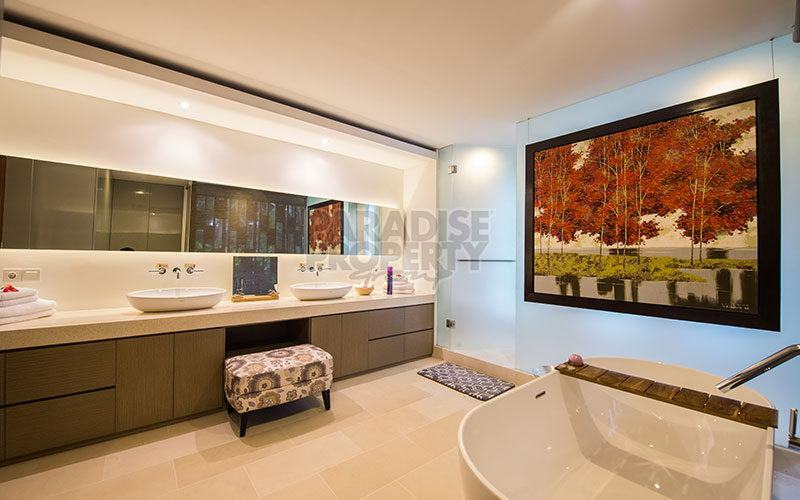 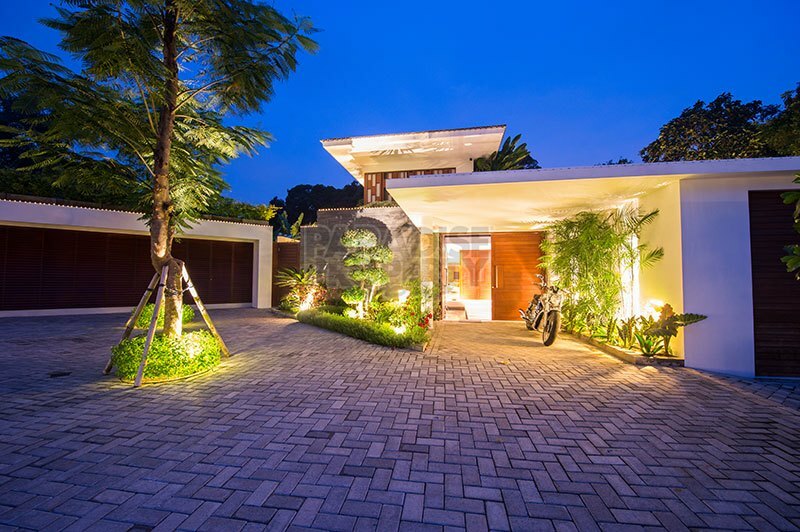 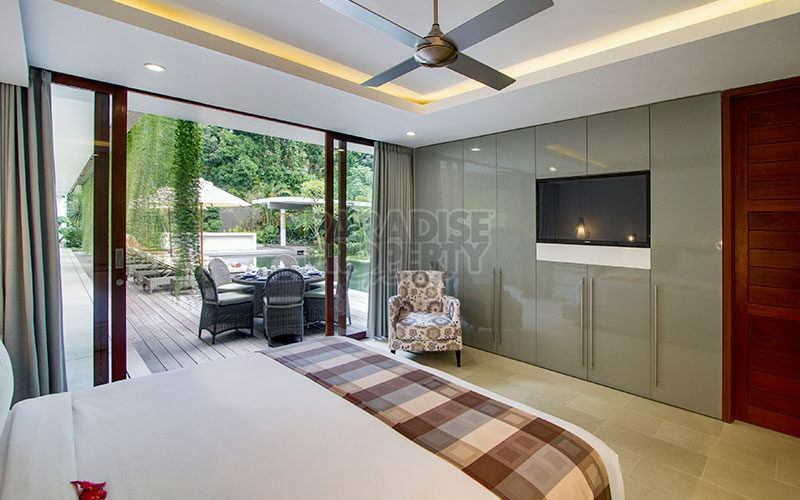 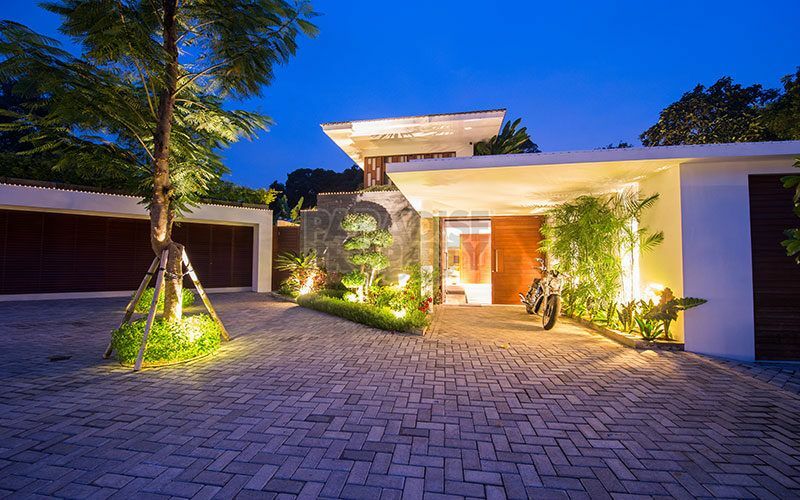 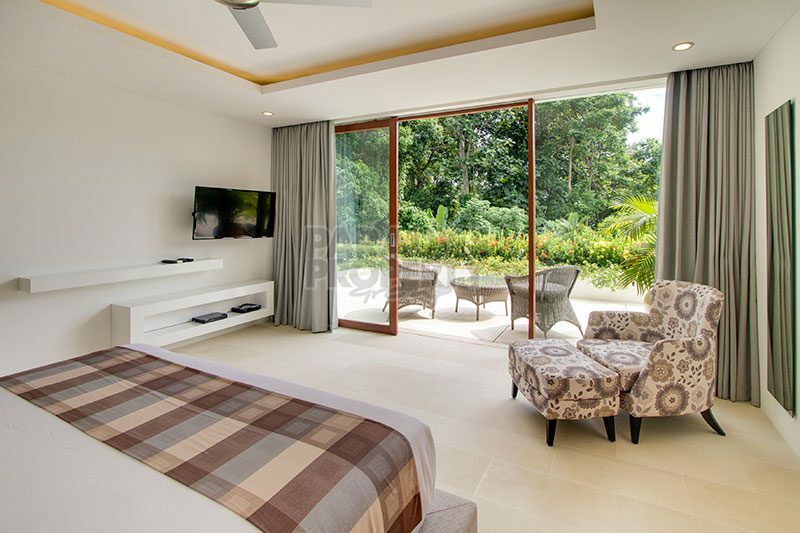 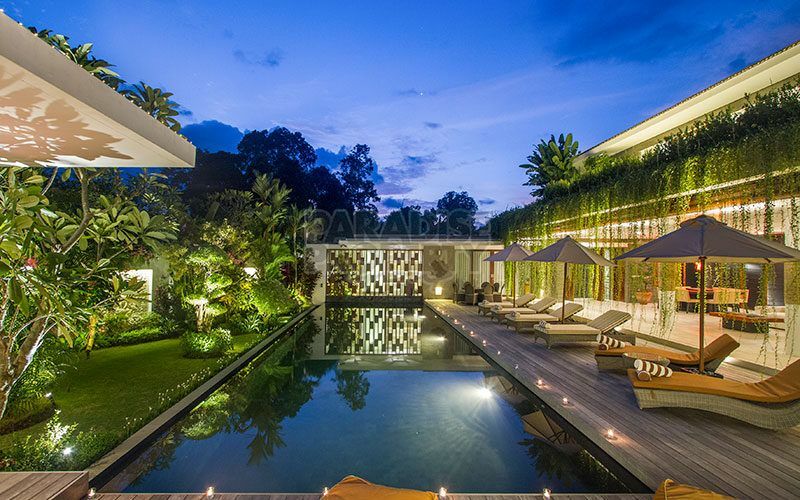 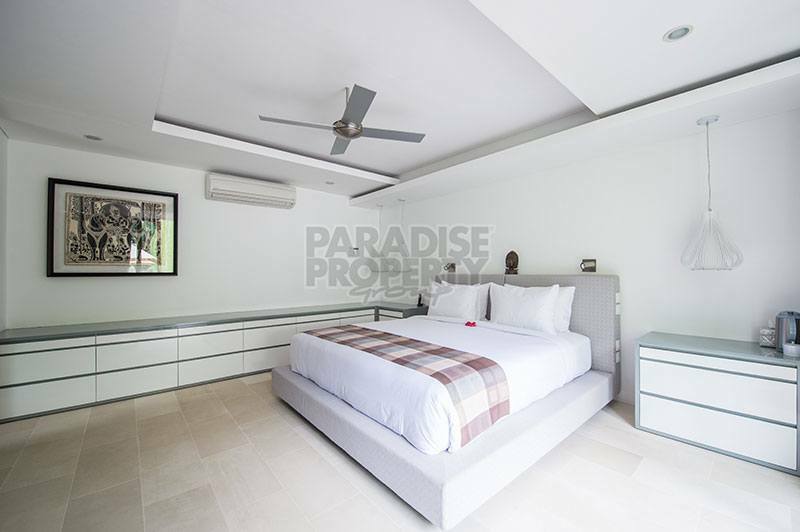 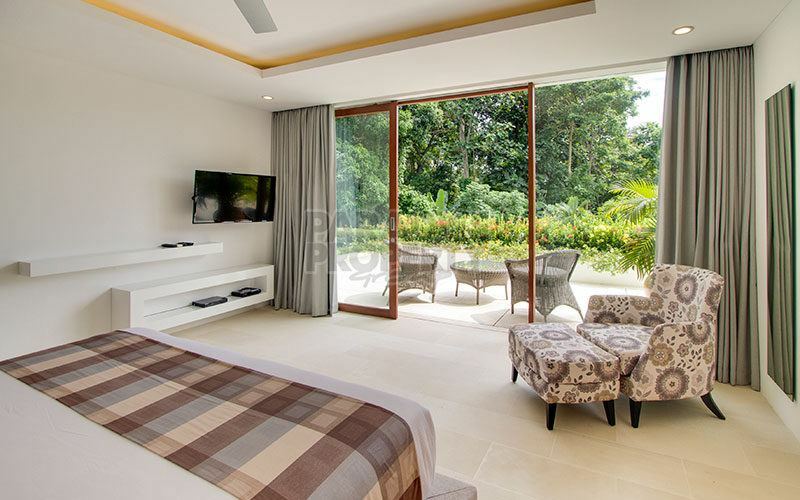 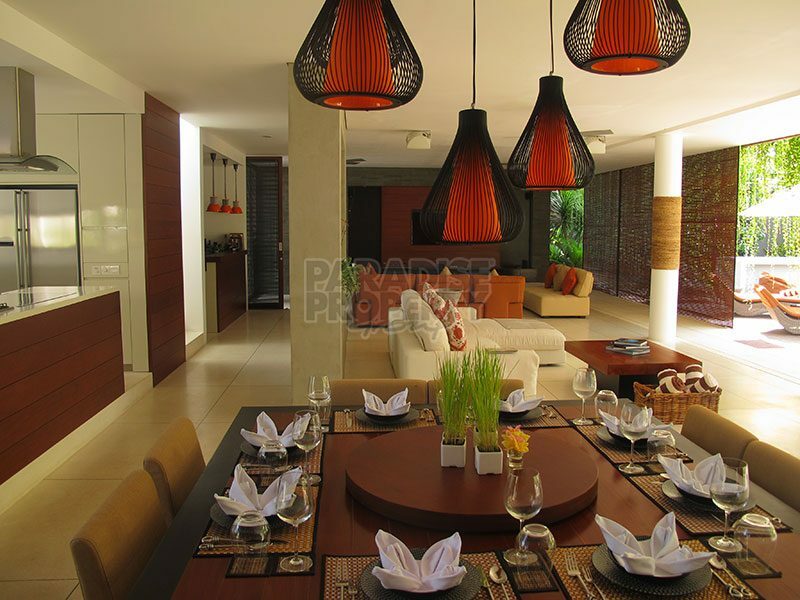 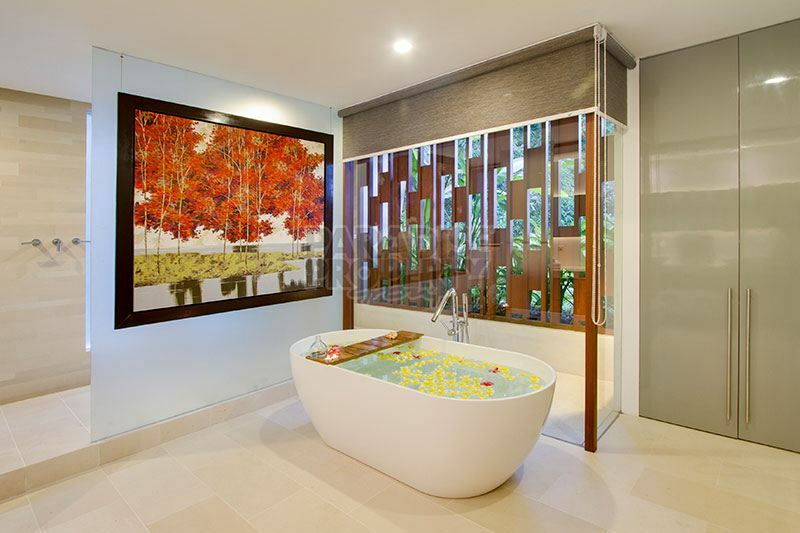 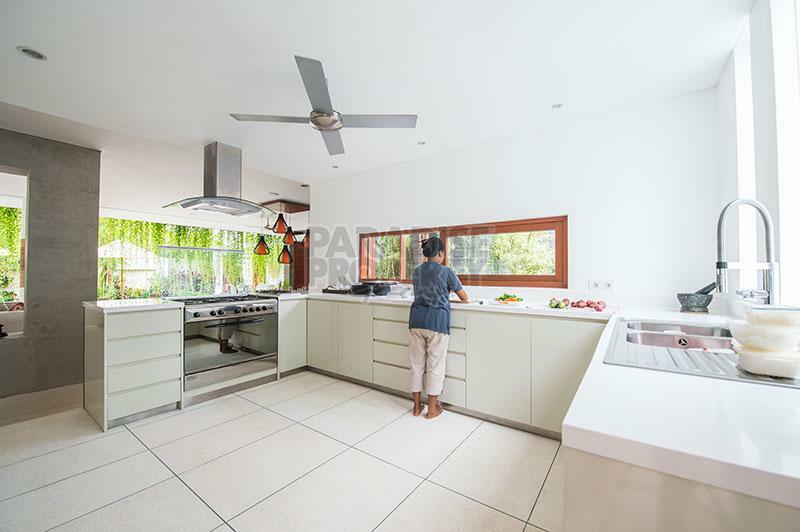 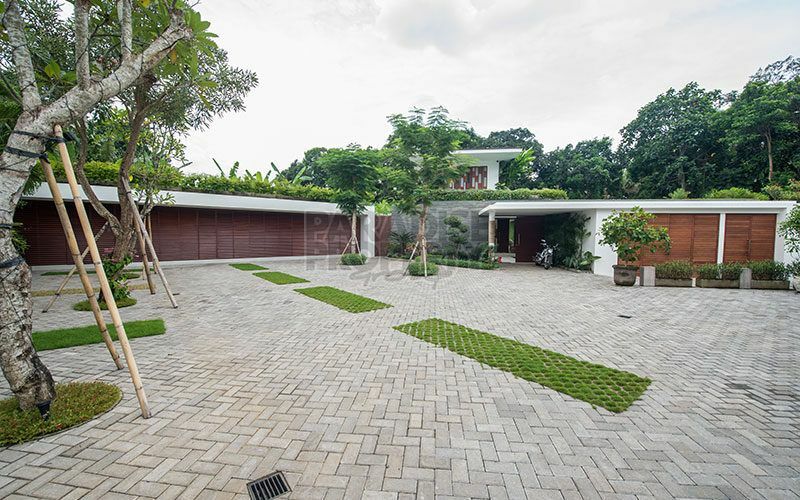 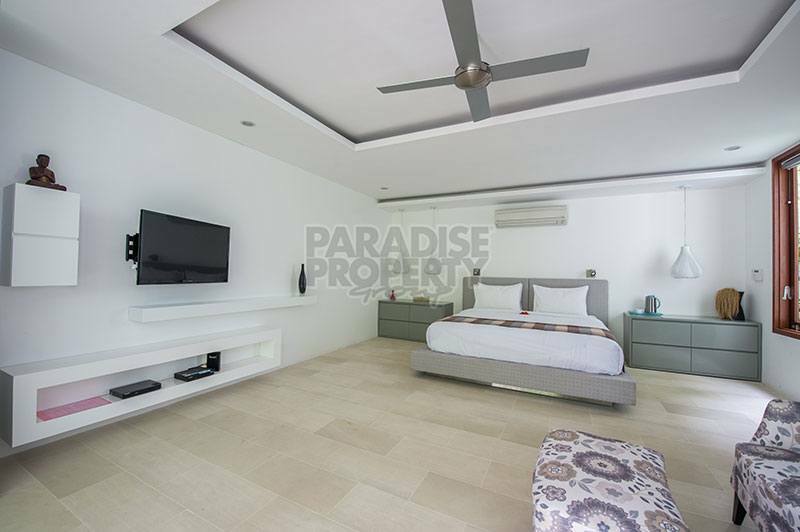 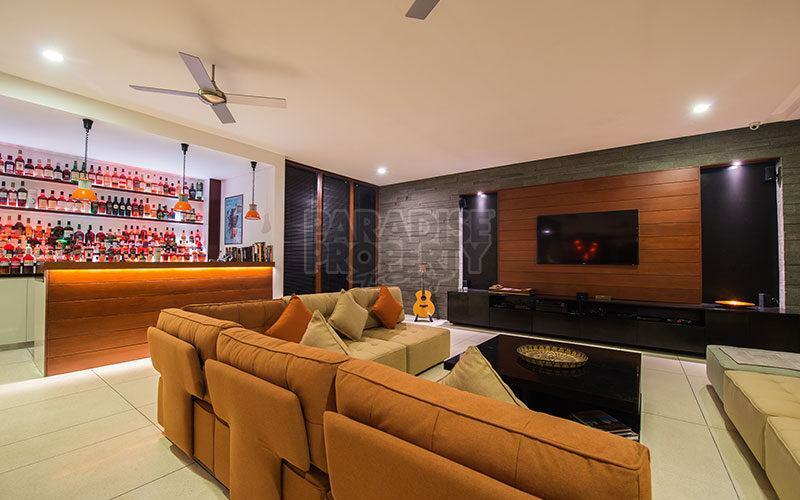 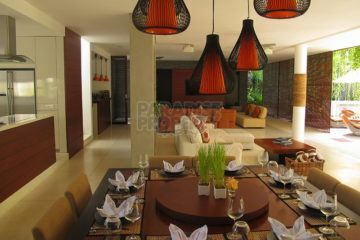 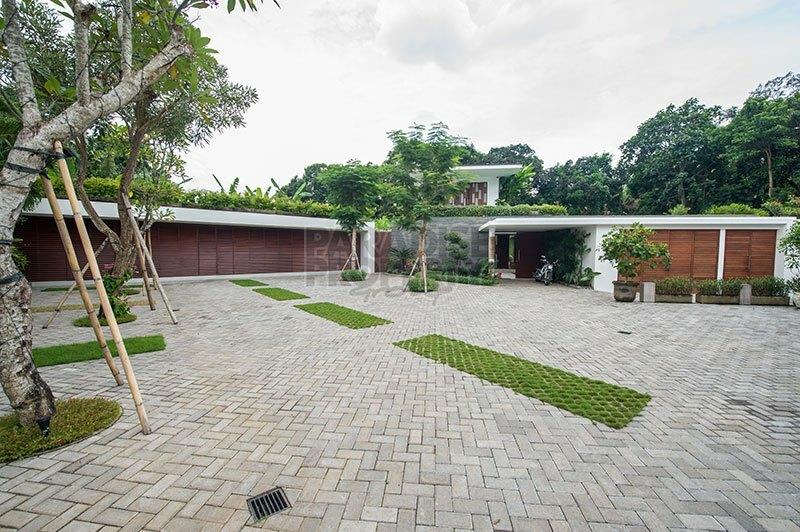 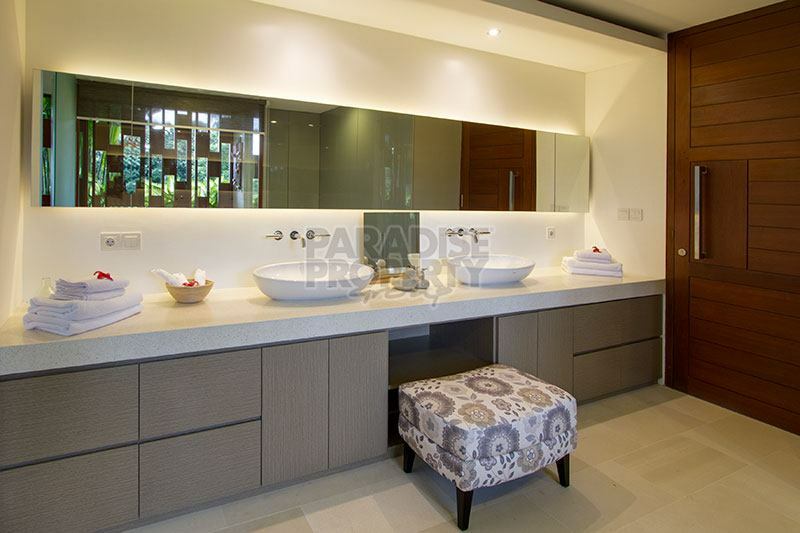 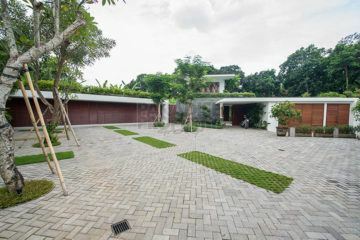 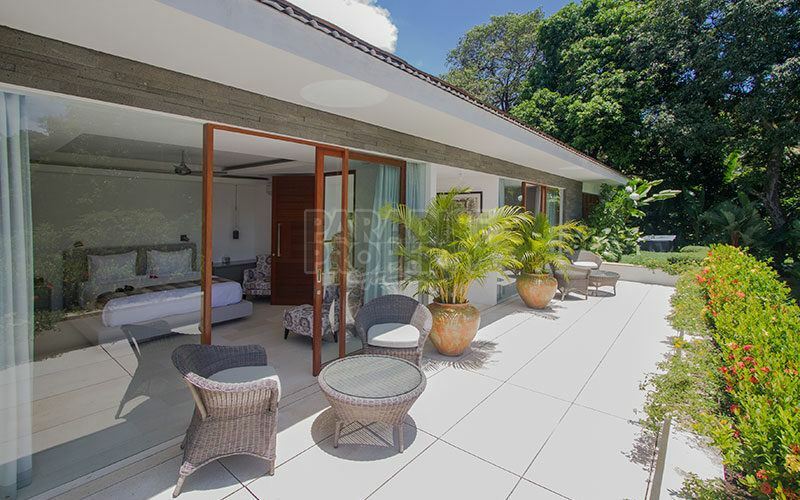 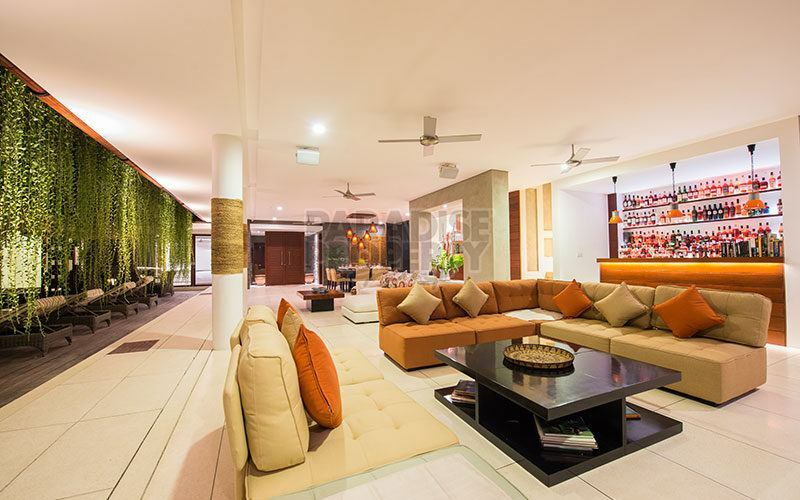 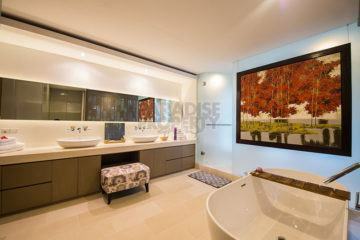 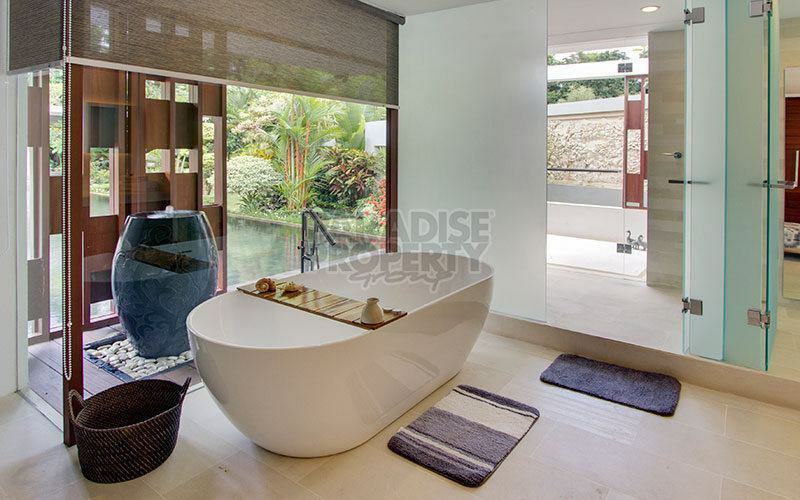 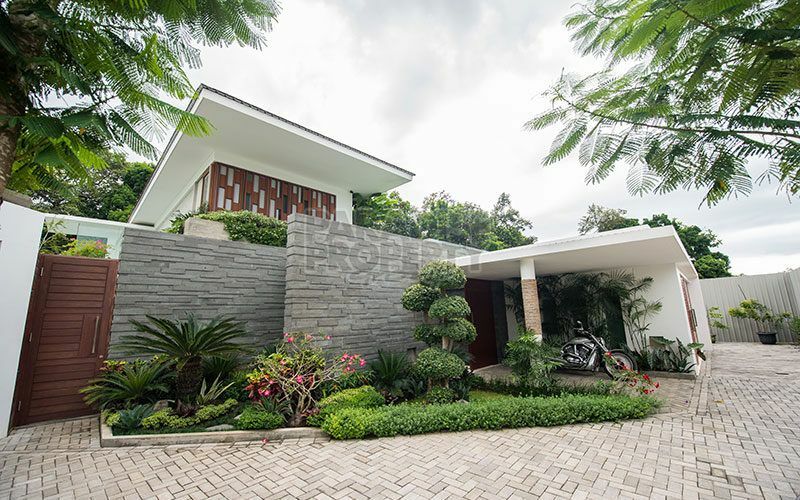 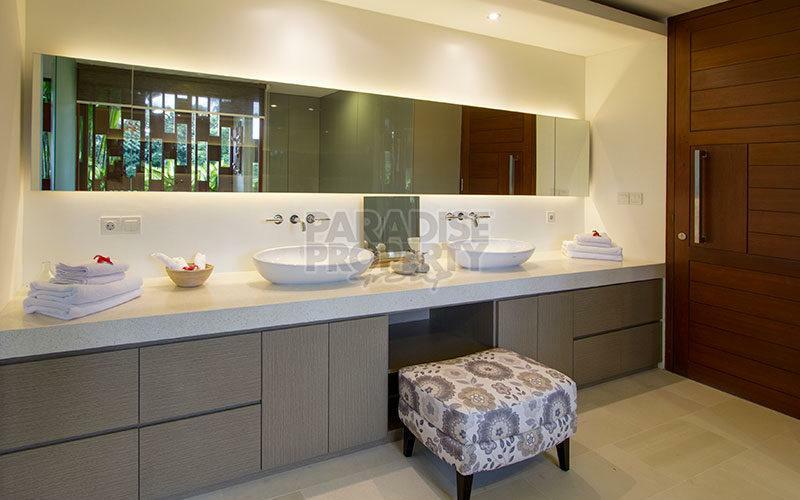 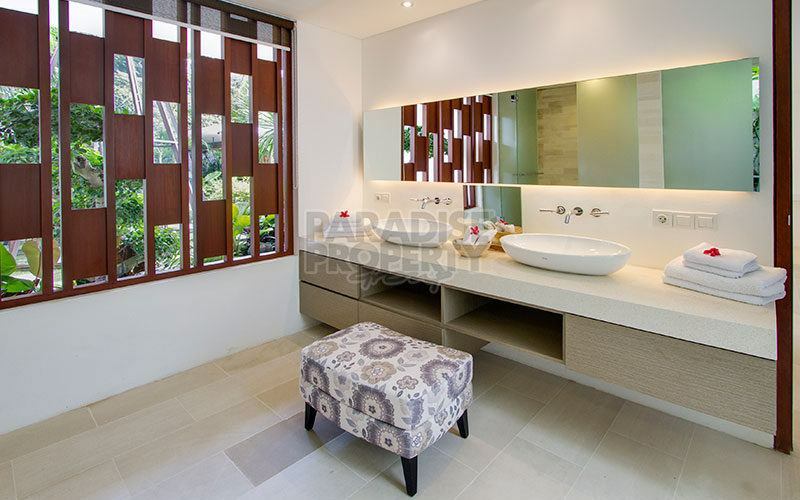 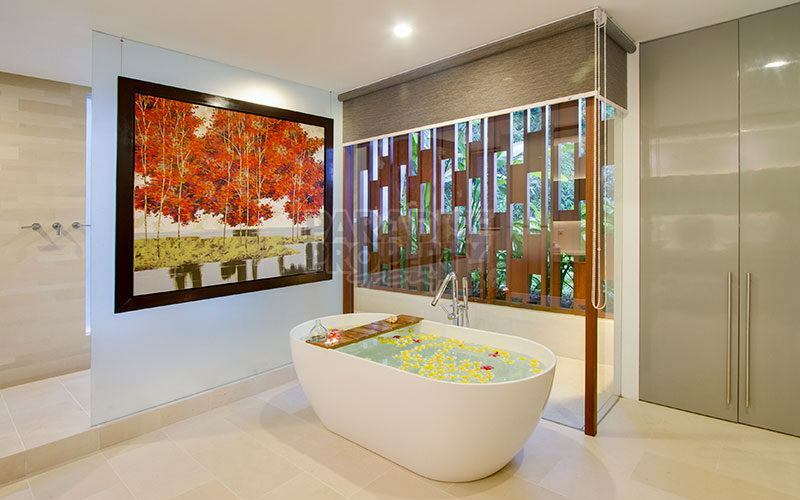 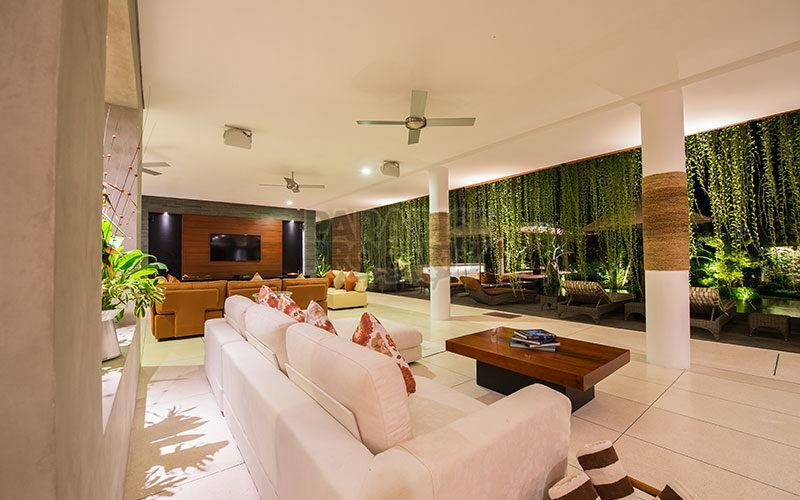 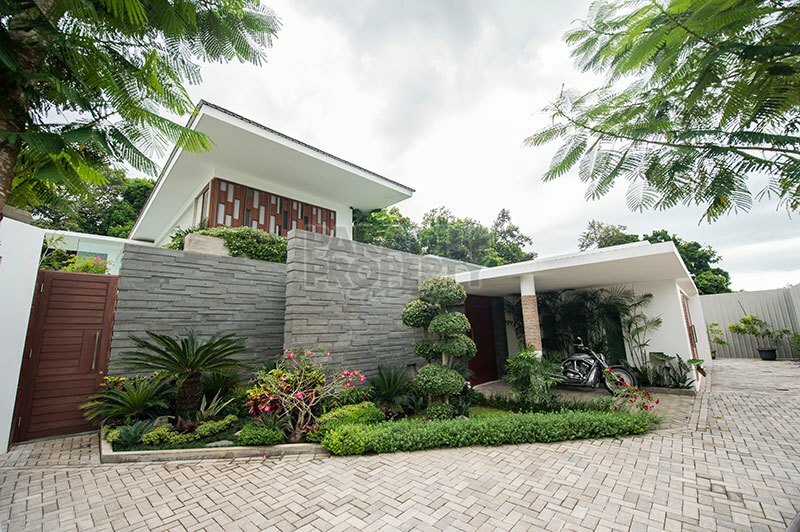 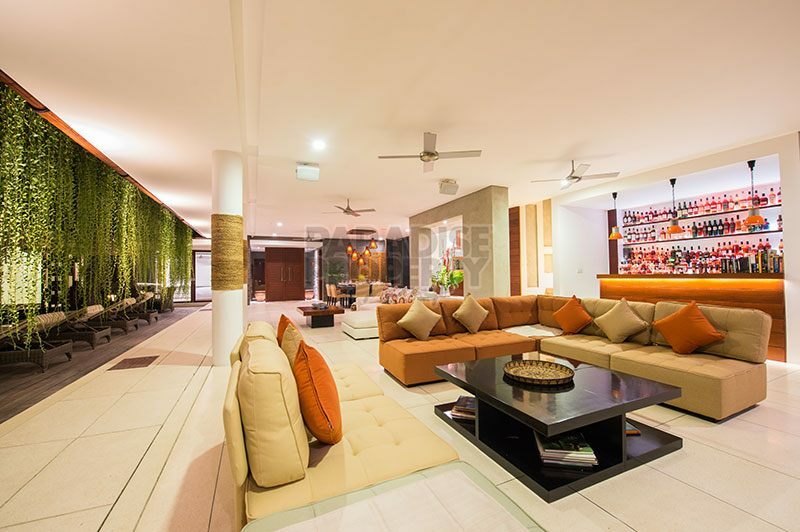 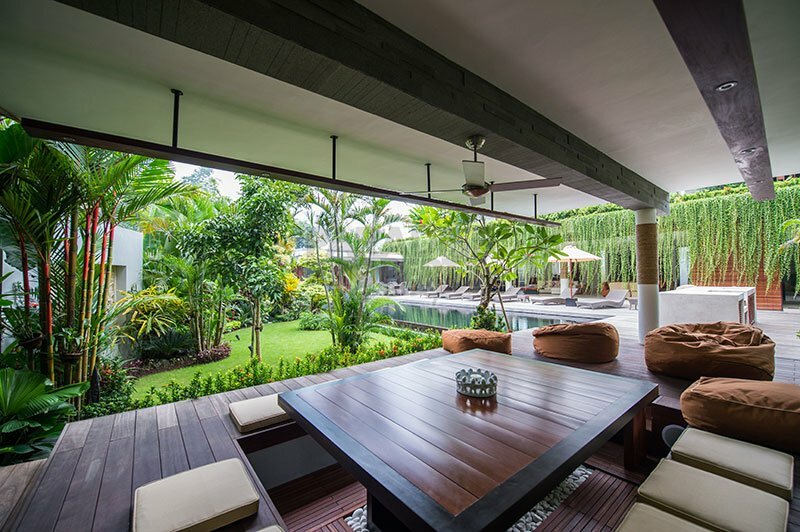 This beautiful, modern 5 bedroom villa is located in a quiet riverside location in Nyanyi. 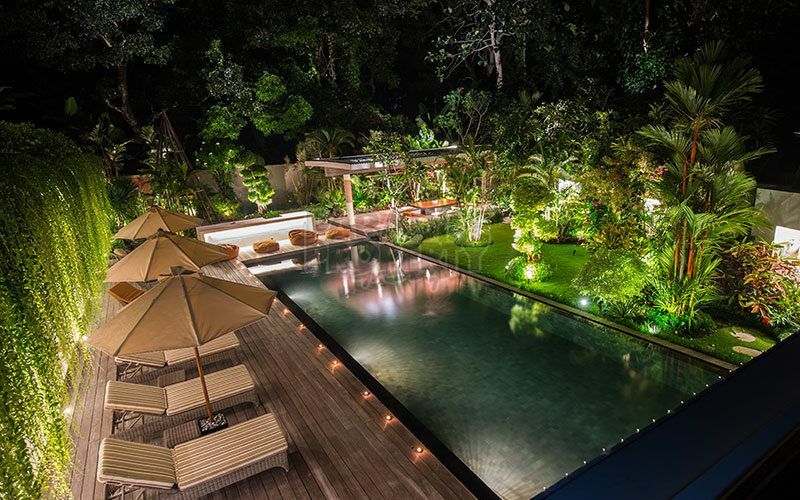 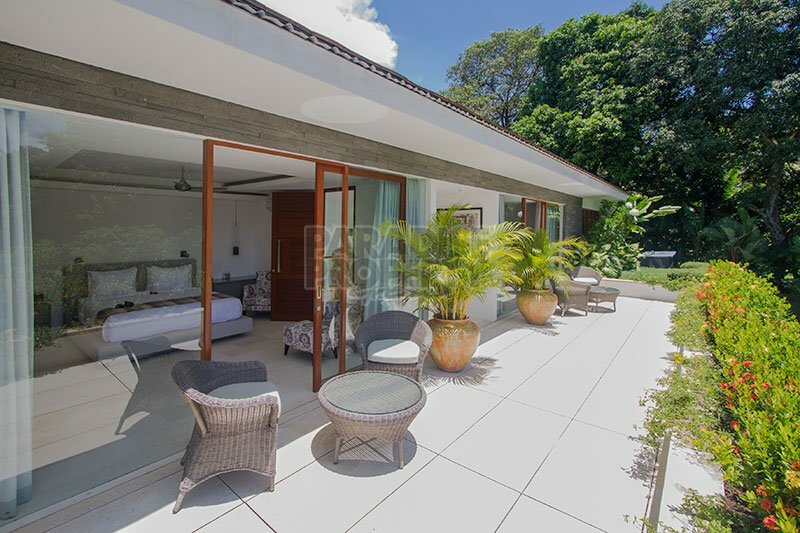 Surrounded by large old growth trees and greenery on a large 1500m2 (15 Are) block, the property provides its occupants with total peace and privacy. Designed by the award winning British Architect Gary Fell of Gfab Architects, every stage of design and construction has used the best materials and construction methods, and attempted to maximise the enjoyment and comfort of the occupants. As you step inside the villa, you will immediately appreciate the traditional Balinese touches of indoor / outdoor living with a large open plan lounge and dining area opening to a huge wooden deck that borders the large swimming pool . Beyond that is a lush tropical garden with wall carvings depicting some of the most important ceremonies and dances in Bali life. 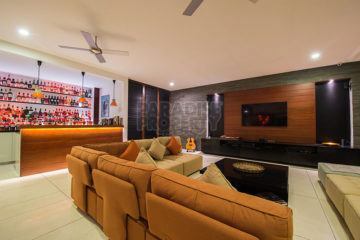 In the lounge is a wall mounted 60 inch TV and powerful surround sound system for enjoying a true cinema experience on Cable TV. Next to the lounge is a large bar space with a fridge and wine cooler for easy entertaining. 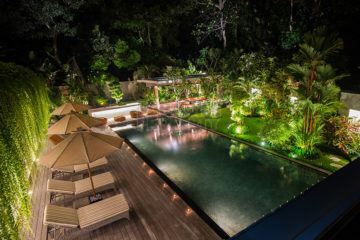 Next to the 16 meter infinity pool is an outdoor charcoal BBQ area housing a powerful built in sound system with speakers in three separate zone, allowing you to channel your favourite phone or tablet tunes to almost anywhere on the ground floor . 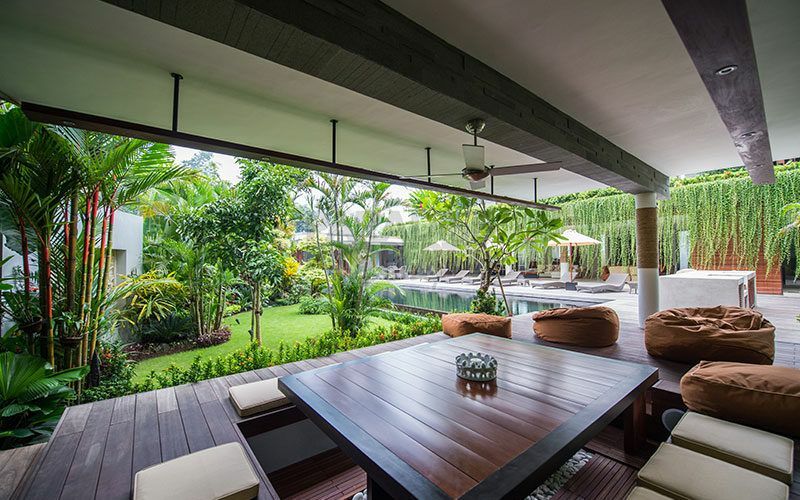 Alongside is a Sala – an outdoor shaded dining area ideal for entertaining day or night. 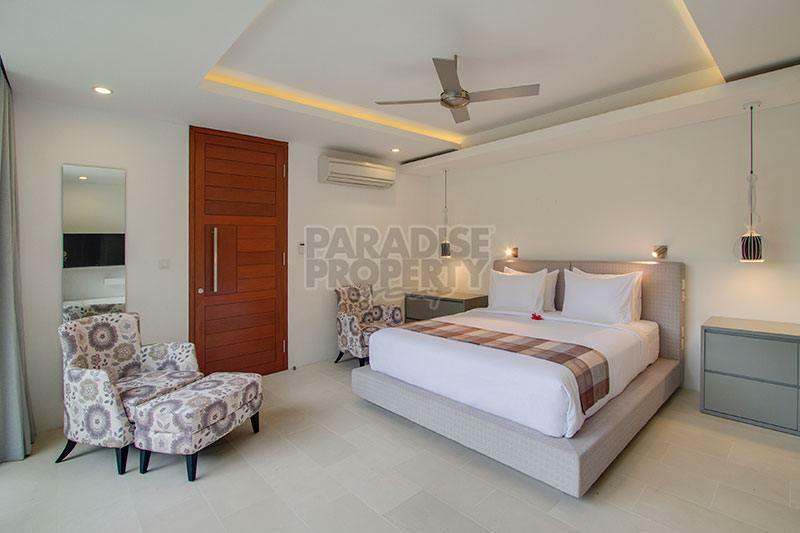 Inside the main building are 4 luxurious and spacious double bedrooms with top of the range King Size beds and King Coil mattresses. Each room has a huge amount of wardrobe and drawer space. Serviced by a powerful A/C and ceiling fan enables flexible temperature and environment control. 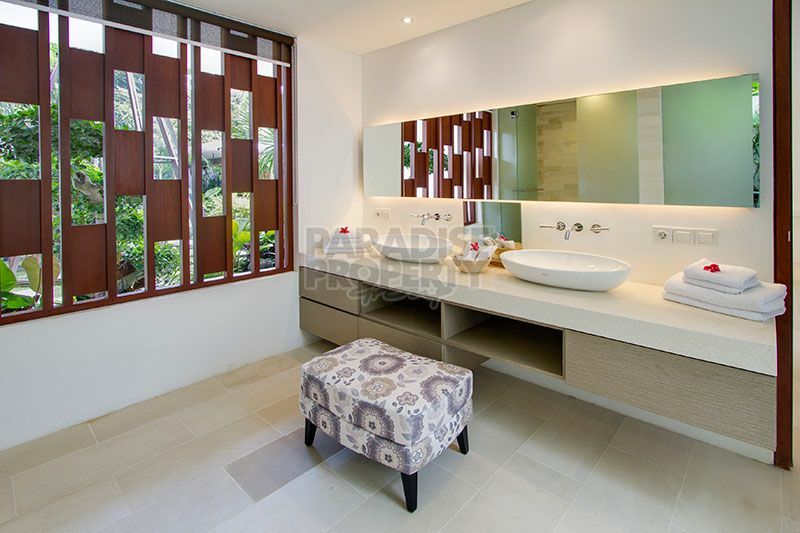 Attached to the bedrooms are large bathrooms with twin basins, WC, an indoor shower and outdoor showers, and baths. 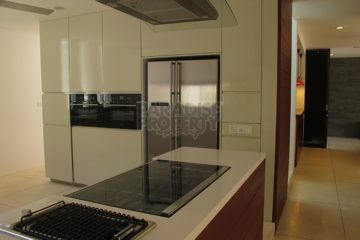 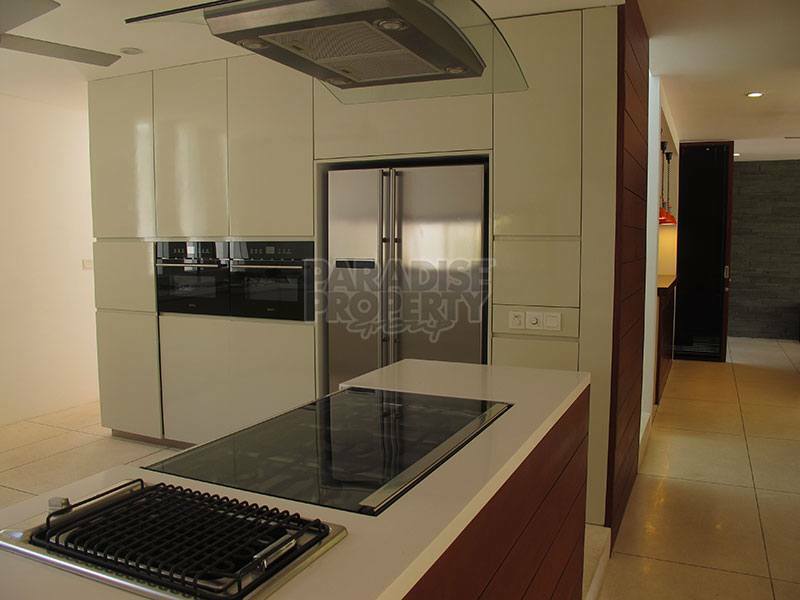 There is a spacious open plan kitchen with all the usual equipment including electric BBQ. 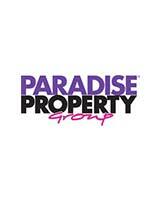 Back of house facilities include laundry, service kitchen, 2 offices and ample staff areas. 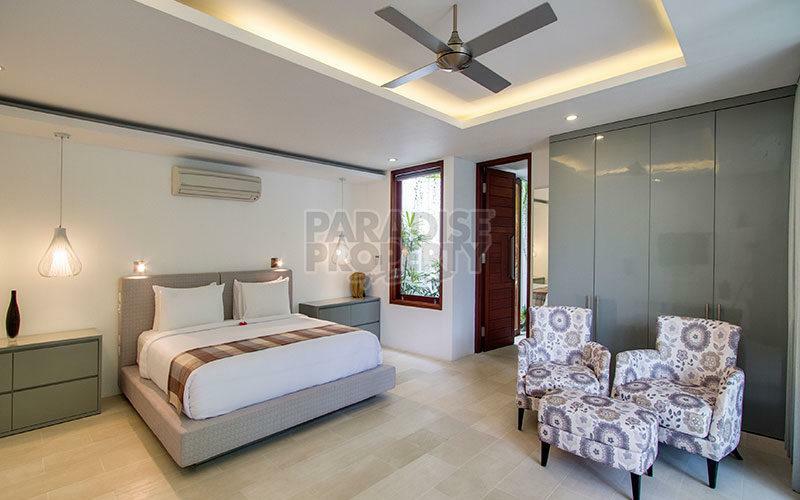 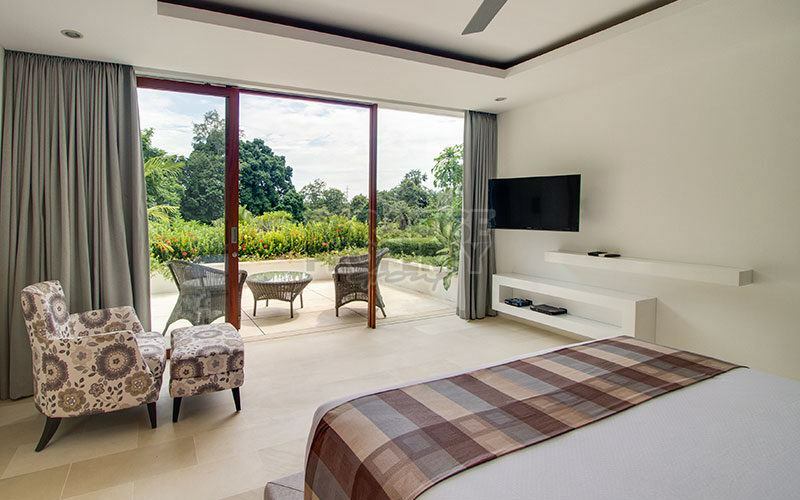 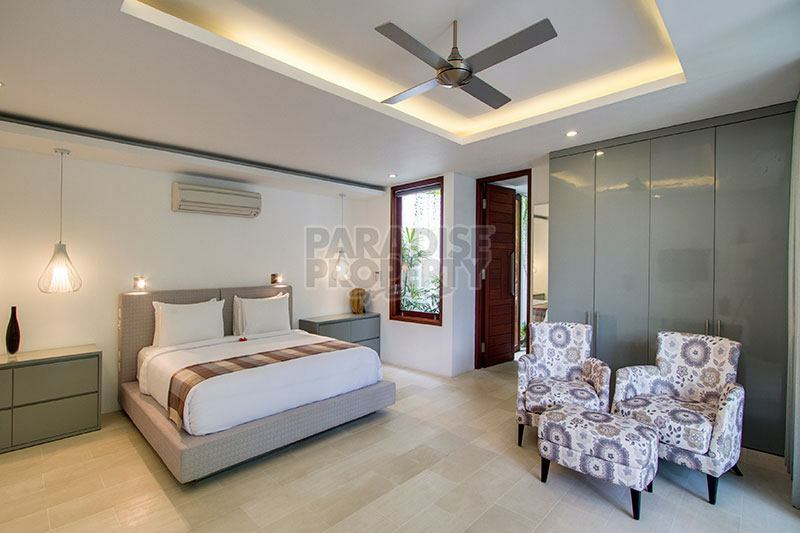 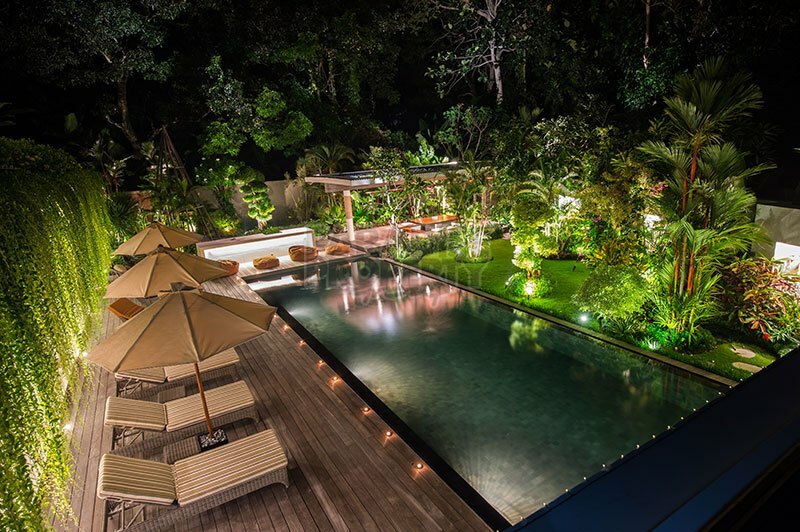 Located in the quiet village of Pandak Gede, the villa is under ten minutes from the Tanah Lot temple and adjacent to the shortly opening Trump Golf Course development. 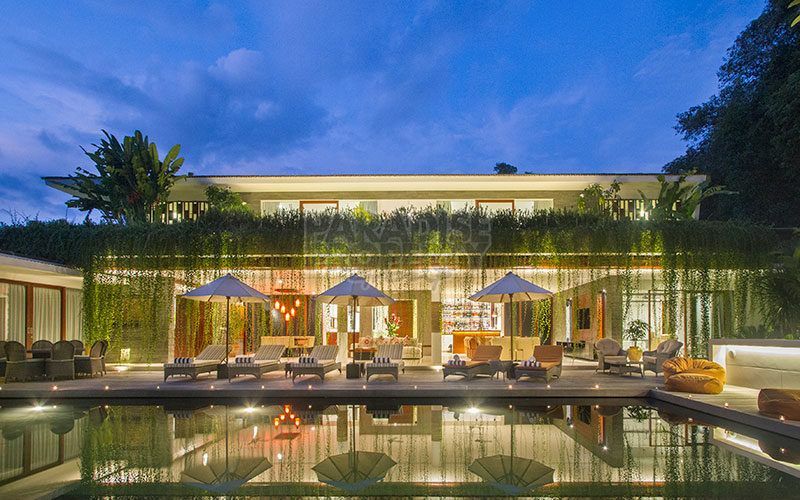 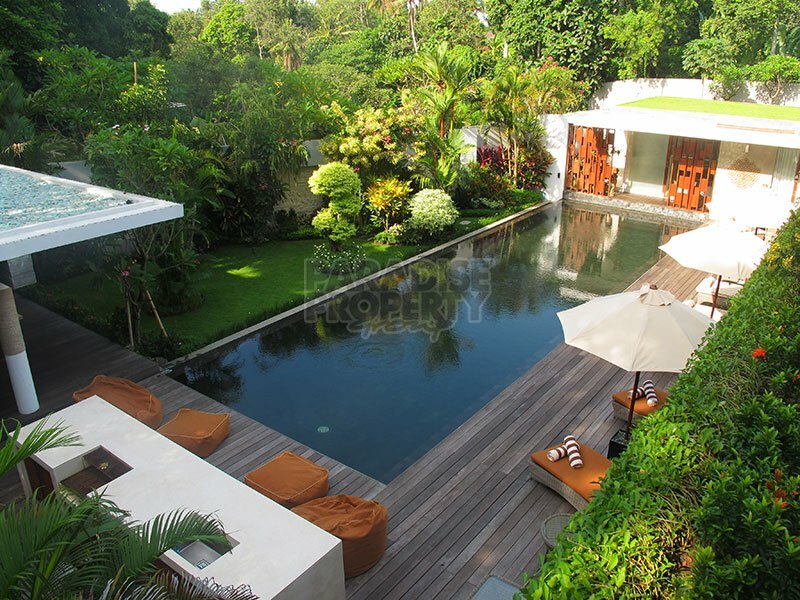 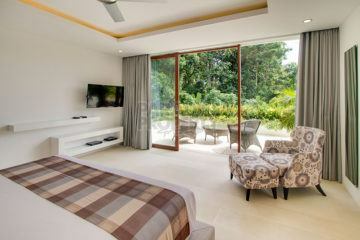 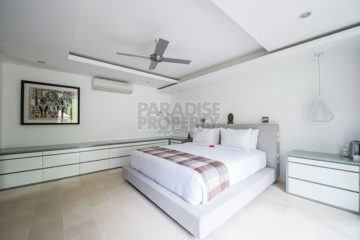 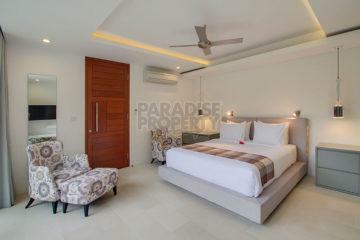 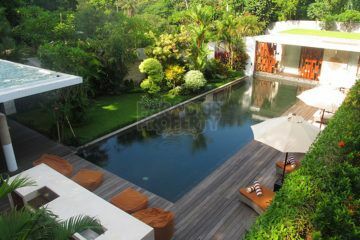 The villa is approximately 25 minutes from Seminyak and under 1 hour to the airport.